The method of reasoning which led to the invention of this instrument may be of interest. 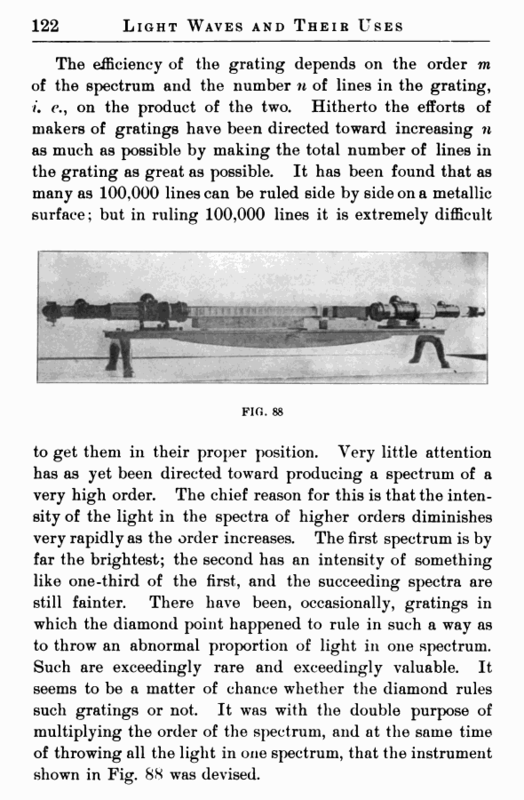 We will suppose that, in order to throw the light in one spectrum, the diamond j>oint could be made to rule a grating with a section like that shown in Fig. 89, the distance between the steps being exactly equal and the surfaces of the grooves perfectly polished. would differ in phase from that from the adjacent grooves by a number of waves corresponding to double the difference in path. The retardation, instead of being one wave, would be twice the number of waves in this distance. 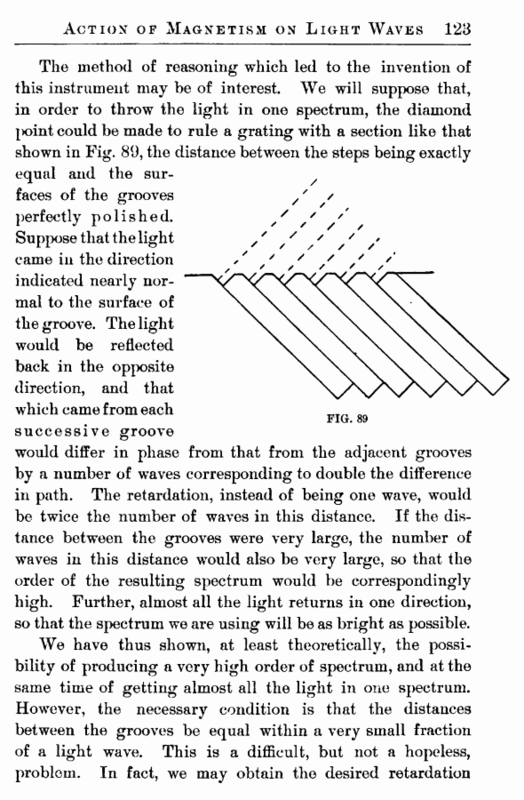 If the distance between the grooves were very large, the number of waves in this distance would also be very large, so that the order of the resulting spectrum would be correspondingly high. Further, almost all the light returns in one direction, so that the spectrum we are using will be as bright as possible.